Inspired by Isaiah 40:31, “The strength of those who wait with hope in the Lord will be renewed. 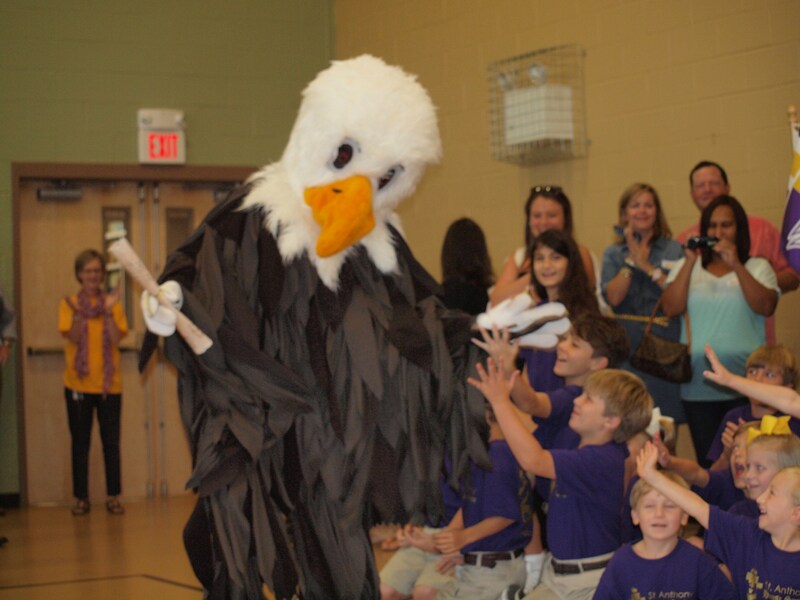 They will soar on wings like eagles,” St. Anthony Catholic School and Eagle athletics share the same mascot of the Eagle. The Eagle is proudly displayed on all Eagle athletic uniforms, along with the school colors of green and gold. GO EAGLES!! !